I am always inspired by Illamasqua, their collections and photos - and of course Alex Box herself. The most recent idea of theirs that I fell for was the speckled eyeliner look seen in the I'mperfection Collection promo photos. Such a fun look to pair with a colourful lip and a simple way of spicing up your regular eyeliner! Tip: Add a colour of choice (or as many as you want!) 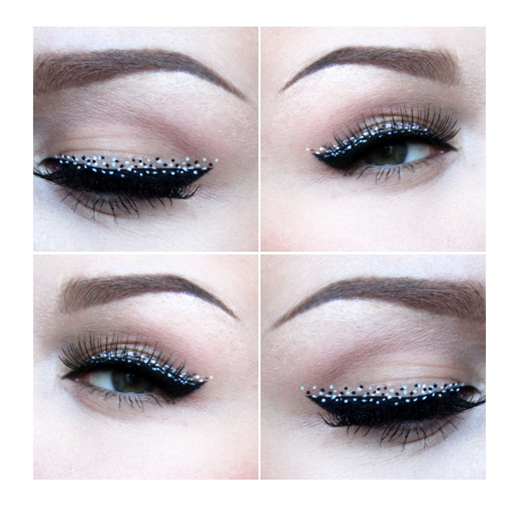 to your black & white speckled eyeliner look for an extra pop!